2017 NBA All-Star Game Starters and Reserves - Balita Boss! Check out the Eastern Conference and Western Conference lineups for the 66th NBA All-Star Game 2017. 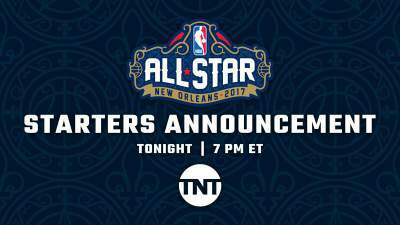 The 2017 NBA All-Star Game Starters were revealed on TNT, which also unveiled the All-Star reserves on Thursday, January 26 at 7 p.m. ET (January 27, PHL time). The NBA All-Star Game is set for Sunday, February 19 (February 20, PHL time).